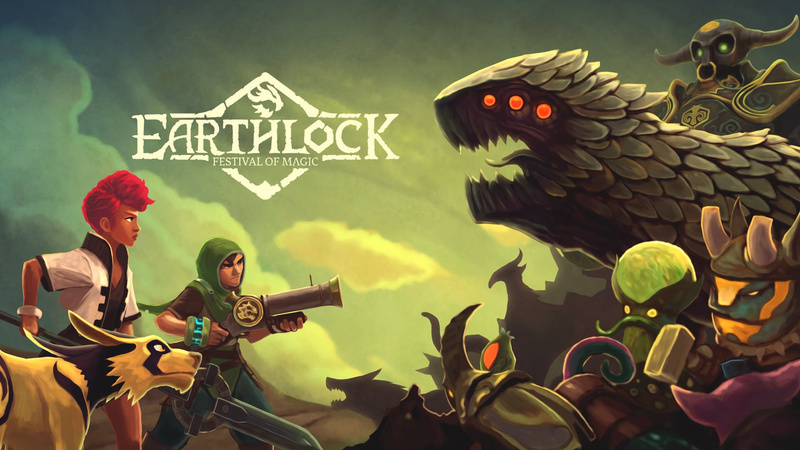 Developer SnowCastle Games has today announced that Earthlock: Festival of Magic will be arriving on the Wii U soon. Very soon in fact, with the EU version expected to roll out tomorrow (7th September). Due to certification issues, though, North America will have to at least wait one more week with the preliminary date of 14th September. 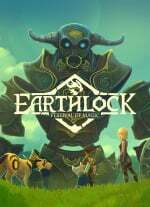 Earthlock takes place in a beautiful world haunted by its past; your task is to join a band of unlikely heroes to rescue scavenger Amon's uncle and uncover the truth behind the Earthkey. Other news shared by the developer is that Earthlock will now be making its way to Japan, after the company announced that it has teamed up with publisher Cross Function bring the title to the country's eShop. SnowCastle signed off by teasing a Switch version, saying "keep an eye out for announcements from Cross Function during Tokyo Game Show!". That sounds promising. What do you think to this news? Will you be picking this up on Wii U? Or would you rather wait for Switch? Yes, I will support this on Wii U, provided it reviews well of course. Developers who stand by Wii U when even Nintendo have given up on their own machine, deserve to be rewarded. So thank you SnowCastle Games. Haven't decided if I want to switch my backer copy to Switch or keep the Wii U version and play it sooner. Since my Wii U is still hooked up and will be for the foreseeable future I'll probably just go with that. @crackafreeze My Switch is in its box sitting on a shelf in a shop somewhere waiting to be bought. But now's not yet the time to buy it. Actually, in truth I'll likely wait for the proper Alpha Switch to be released. The one that fixes all the kinks or some of them at least. Nice to see a company keep it's word and release a game on a console they said they were going to release it on. Hopefully they at least get a few sales on the very dead console. It's not dead in our household, Wii U gets used on a regular basis, looking forward to Champion Ballad, but so does our Wii, even in Gamecube mode, and our Dreamcast occasionally. Probably our PS2 if I hadn't traded it in. But Wii U games sure are lacking. Well at least maybe people will pick it up on Switch just because they released it on Wii U, give them some positive exposure. WoooHooo!... I have this on PC from a Steam sale and stop playing an hr in as I kept thinking this would be great on the Switch - and should just wait. Just like BattleChasers and Hollow Knight... Day 1, when on Switch. Haven't heard of this title before but I will keep an eye on it. Either way, if I decide to get it will be on the Switch. My Wii U is exclusively for its, well, exclusives that I've yet to play through. They said at some point all Wii U backers would get the Switch version as well. If that's the case, awesome stuff. I'm a Wii U backer myself, so I feel compelled to wait until I can get it on Switch. Props to everyone following through on Wii U release plans! Somehow this slipped by me, but I'm all for it when it comes to Switch! I'll wait for switch. Glad Wiiu still got the release though. Glad that this is releasing on Wii U; nice to see a developer keeping their promises and respecting their fans. Although I'm still not sure if I'm particularly interested in this title, I REALLY respect that they are not going with the same overused art direction most RPGs have been following lately with super deformed chibi characters and cutsey things everywhere. This reminds me more of FF8 which is a good thing. Thank them for the Wii U, but hoping they won't lock the game's control to gamepad-only. It does look nice, just a shame I'm not really interested in turn based battles. I've waited since the 9th of March 2014 for this when becoming a backer on Kickstarter. Awesome that it will release tomorrow and hopefully on the Switch in the future. Good game. Has a lot of interesting Mechanics. Hope they make a sequel that builds on the Systems in this game, even if they don't keep the Character/World/Story. So we have the last part of Shovel Knight and this to look forward to, along with whatever Turbografx-16 games they decide to release on Virtual Console. I really love the look of this. Seems very old-school-squaresofty. Can't wait to get it on Switch. I got it on Wii U. Looks lovely and plays lovely too. It's 2,322MB to be exact lol Can't put footage live yet unfortunately until 2pm, when the game goes live! I had forgotten about this game. It sat on my wishlist for so long, I gave up on it. Count me in whenever this comes out in the States (no, I haven't upgraded to the Switch yet). I will get the Switch version, but I also want to know the game size for Wii U version. My Wii U is not installed with any External HDD. Never noticed this game before today. Day 1 purchase for my switch. I waited and waited and waited so much, I guess I can just wait some more for the Switch Version. Especially since I don't play Wii U much anymore. There is Nothing Wrong with Chibi RPG. They look Adorable to play. Miitopia, FF IX, Fantasy Life, FF Tactics, etc are example of Good Chibi characters RPG games. How could you not liking such a Cute thing like that ? That's so Natural to like Cutesy stuffs. It will not degrade your pride as an Adult male. Cutesy stuffs is not just only Chibis, but also Cute things such as Hamster, Kitten , Puppy, Beautiful Cupcakes, etc. I played this on my XB1, its pretty dang bad as far as jrpgs go and Iove them. did anyone here play the girl and the robot? never saw a review for that. May be worth adding to the backlog. @feelinsupersonic I'm curious if you bring this up because of the Kickstarter connection; I was a backer of both of these games. The simplest way to put it is that I don't recommend The Girl and the Robot, but I don't regret having backed it, nor would I have regretted it if I had merely bought it. When you consider that the Kickstarter was only asking CAD$25K, it becomes clear that they just didn't have enough money to polish the game properly, and I can't think of a clearer example of how expensive game development really is. I wish them well in the future, but more importantly I wish them a budget; they obviously have enough talent to develop a good game, which in some way makes this game more disappointing than if it had just been bad. Yeah, my Wii U is still hooked up, and will continue to be until a Smash Bros. for Switch is released, at the very least (still love some games on it, and still haven't finished Star Fox). The graphics in this one are nothing to write home about, but it looks like a pretty fun adventure. Perhaps a Wii U purchase is warranted, just to support that decision? @FlashFan207 That's a kind thought, and if you don't have a Switch, if perhaps you're waiting for Smash or Odyssey or something, then I can see buying it for Wii U to let them know that you appreciate the support, and that they kept their word. If you do have a Switch, however, they'll be thanked--and earn the same amount--either way, so perhaps it might be better to get it on Switch, as a way to strengthen sales on the newer system, which would help convince more developers that supporting it is the right decision. Wii U sales wouldn't have the same effect. @PanurgeJr wonder no more. i did not bring it up because of the kickstarter connection — just wanted to know whether the wii u happened to have a great game that simply no one bothered to review. @Anti-Matter Wow. Calm down there, buddy. You're talking to a man who has been playing JRPGs since the NES days and I own ALL of the games you mentioned above. In fact, FF9 is in my top 3 games of all time. (And by the way, I don't consider FF9 to be chibi, but more in line with the more realistic style I was mentioning above.) I'm simply saying it's extremely rare to see this direction of design in RPGs these days and its what I prefer. Also, don't talk to me about being afraid of cutesy things...I have three small kids, two of which are girls so trust me when I say I'm more used to that sort of thing than you are. Looks particularly good. The true heir to Final Fantasy? Music score a little underwhelming, still seems to have everything else. The game doesnt interest me sadly, looks very generic, but im super stoked there is more wiiu support. I should go back and check the WiiU Eshop i think, probably some really good games thats come out the last year. My WiiU is still plugged in, but i only use it to play Hyrule Warriors. I hope Nlife reviews both versions. I'm really interested in the Wii u version.